By making a will, you control what happens to your worldly possessions when you die – but there are a number of simple mistakes that could stop your wishes being carried out. The laws around wills are complex, and the stakes are high – from accidentally disinheriting a loved one, to voiding the entire document. 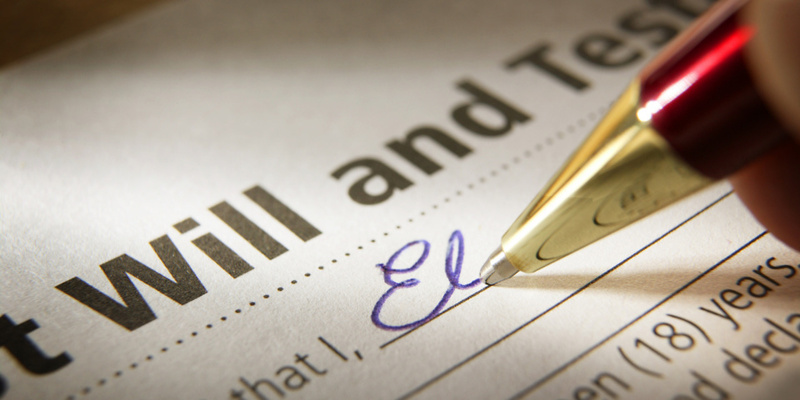 Whether you’ve written your will already or are thinking about doing it soon, Which? sets out common pitfalls that could cause trouble when you’re gone. For a will to be valid, it must be signed in the presence of two independent witnesses over the age of 18. After you’ve signed the document, you must watch the witnesses sign it. If there is just one witness, the will won’t be valid. Your witnesses also need to be physically present when you sign, so they could invalidate your will by stepping out of the room at the wrong moment. When you die, your executors will need your original will to legally administer your estate – not just a photocopy. Without the original, it will be difficult for your executors to obtain a grant of probate to manage your affairs. So make sure the people close to you know where to the original of your will is stored. Witnesses aren’t allowed to benefit from your will in any way – meaning if your child or partner signs the will, you could inadvertently disinherit them. When you choose your witnesses, make sure that they won’t stand to inherit anything from your will. You can’t make amendments to your will after it has been signed and witnessed. So putting a note and initialling it won’t count. Instead, you’ll have to make an official alteration called a codicil. This must be signed and witnessed in the same way as a will. There are no limits to the number of codicils you can add to a will. That said, if there are major changes, it may be worth making a brand new will to avoid any confusion. You house and car tend to be the most obvious things that you leave behind. But don’t forget your intangible assets, such as bank accounts, premium bonds or shares. You may also be able to pass on air miles or loyalty points if you’ve built up a large pool. It may be worth including electronic assets – digital photo albums or music collections, for example. You can also leave information about your social media accounts in your will so that relatives can manage your digital legacy. It’s important to be clear about your wishes. But if you pass on specific assets that are likely to change, your will may be outdated by the time you pass away. For example, you may wish to leave your Ford Fiesta to your eldest child, then later upgrade to an Audi. Your other children, or even the executor, may dispute your eldest’s right to inherit the car. When you die, you will need an executor to deal with the administration of your estate in accordance with your will. However, many people forget to name the executors of their will. When this happens, the probate court will appoint someone to act as executor, who might not have been your first choice. Keep in mind that you can appoint more than one executor, and these can be relatives, friends or even a solicitor. A will sets out what happens when you die, but you might not be the first to go. You should think through all possible scenarios and set out what you would like to see happen in each. When you get married, your existing will automatically become invalid. If you die without creating a new will, your spouse will automatically inherit half (or even all) of your estate under the intestacy rules – potentially disadvantaging your children. To divide up your estate in the way you think is best, you need to write a new will every time you marry. Similarly, if you don’t choose a guardian for your child in your will, the decision about it could go to family courts – so update your will when you become a parent. When you make reference to ‘my children’ in your will, be aware that this won’t automatically cover step-children or foster children, even if you raised them and consider them to be your own. Legally adopted children will be considered the same as biological children, however. If you want to provide for your step-children or foster kids, you’ll need to be explicit about them benefiting from your will. Unmarried partners aren’t entitled to anything from your estate unless specifically stated in your will – no matter how long you’ve been together. Writing a will ensures your partner will get their fair share. If you’re planning to leave a dependent out of your will, you need to be explicit about why you’re doing so and where you’d like your money to go instead – or they could successfully contest your decision. One case that hit the headlines last year shows just how tricky this area of the law can be. Heather Illot challenged her mother Melita Jackson’s decision to leave her entire £486,000 estate to three animal charities. After 10 years in the courts, Ms Illot received a £50,000 share after challenging the will under the Inheritance (Provision for Family and Dependants) Act and was awarded £50,000 on the basis she had been ‘unreasonably’ excluded. You need to be of sound mind when you make a legal will, so make sure you do it when you’re not drinking, on heavy medication or otherwise mentally compromised. If you’re under the influence of alcohol or drugs while making your will, its validity could be contested after you pass away. If you die without a will, or your will is found to be invalid, you won’t have any control over how your estate split up. Your assets may end up being distributed according to the rules of intestacy – so if the estate is worth more than £250,000, half will go to your spouse and the other half split between your children.